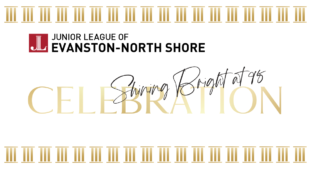 Junior League of Evanston-North Shore, Inc. is an organization of women committed to promoting voluntarism, developing the potential of women, and improving communities through the effective action and leadership of trained volunteers. JLE-NS provides women a unique forum to develop personally and professionally while making a difference to individual lives and transforming communities. JLE-NS fosters job readiness and promotes positive family development. JLE-NS Shining Bright at 95 Celebration on Friday, May 17th – purchase your tickets now! Join us for the JLE-NS History Crawl on Saturday, April 27th! Click here to purchase your tickets now! Celebrating 75 yrs. in 2015, the Thrift House is the league’s oldest, ongoing project that provides quality, used merchandise at affordable prices while raising funds for our operations and community projects. The Thrift House is celebrating 75 years in 2015, a milestone for any merchant. Since opening their doors in 1940, the Thrift House has been Junior League of Evanston-North Shore’s oldest, ongoing project and continues to be a major source of revenue, raising approximately $25,000 per year to support JLE-NS’s operations and community projects. The Junior League of Evanston-North Shore Community Assistance Grant Fund is expressly for the purposes of fund disbursement to non-profit, tax-exempt agencies and groups. The Outstanding Volunteer Community Service Scholarship is awarded by the Junior League of Evanston-North Shore, to honor a graduating Senior Student who exemplifies an outstanding volunteer spirit by contributing significantly in the areas of community service and leadership during his or her high school years. Several scholarships will be awarded between $500 and $1,000 each. Baby Steps Educational Shower is a program that positively impacts the lives of expectant mothers in need and their children. Started in 2009, the goal of Fitting Futures is to increase the potential for low-income women to achieve economic self-sufficiency.